The City of Clarence-Rockland, Ont., says it will no longer be administering a commuter bus system due to declining ridership and high costs. City council directed staff to allow its contract with Leduc Bus Lines to expire Aug. 31 and let the company continue to operate its route privately. The plan was announced at a public meeting Tuesday evening. Mayor Guy Desjardins said the city will continue to maintain some park-and-rides and bus shelters, and that the new arrangement will save the city money. "The finances, that's all it is. It was costing us too much and our contract was coming due," Desjardins said. "It's always better run by private enterprise than for municipal people to run it." Over the last nine years, statistics provided by the city show ridership has dropped from 605 to 336 riders per month. It cost the municipality about $450,000. Desjardins said he also expects ridership will go down further because OC Transpo is ending its policy of allowing transit riders from neighbouring rural municipalities to transfer for free with their bus passes. That means Clarence-Rockland riders will have to buy an OC Transpo pass on top of their $248 CR Transpo monthly pass. Transit user Mario Larose said he was frustrated the decision was presented without more consultation, and he wanted more guarantees about the quality of the future service. "It feels to me that the city council just let everybody down," he said. Brigitte Deschenes said she is waiting for more details from Leduc Bus Lines and she hopes there will be consultations with an eye to improving ridership. "I have no problem with making it private — unless the price increases. It's all up in the air," Deschenes said. 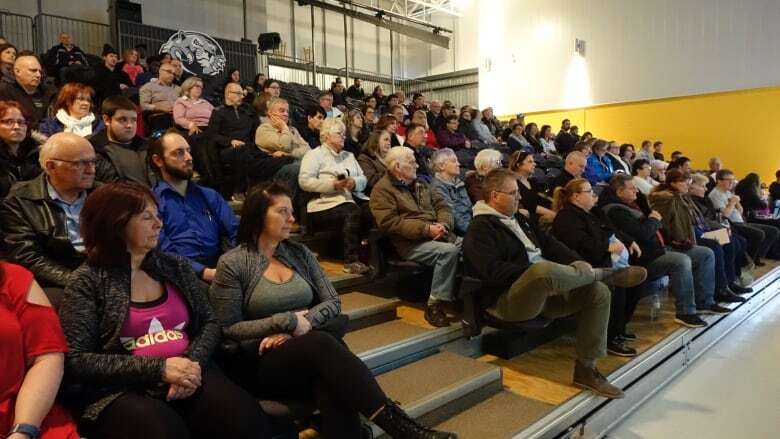 Leduc Bus Lines didn't speak at Tuesday's meeting, though representatives from the company did attend. Jay Leduc, the company's safety manager, said riders can rest assured buses will continue to run on Sept. 1, though they are still working out details of routes and prices. "There might be a slight [price] increase, but again that hasn't been decided," he told CBC News. "We're trying to keep it very close to where it is right now and keep people happy." The private company will not qualify for about $240,000 in gas tax funds the municipality could use to run a public transit system, according to local officials.